Every year from February to April hundreds of Grey Reef Sharks gather in Palau for their annual mating aggregation. Taking advantage of this event, the Micronesian Shark Foundation developed Shark Week in 2003. Shark Week provides an opportunity for divers to experience high voltage shark diving with field experts such as Dr. Mark Meekan of A.I.M.S. and the team of Stanford University under the leadership of Barbara Block. Shark week includes 5-6 days of diving at some of the best sites in Palau, evening lectures by various experts, conservation advocates and sponsors, video presentations. A closing GALA dinner with gourmet local food and drinks, raffle drawing for Shark Week participants, summary speeches by MSF Founder Tova Harel Bornovski and the panel of experts and sponsors concludes the event. We regard Shark Week as our main event to get the word out to the International community. 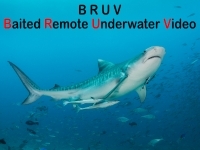 Divers become ambassadors for sharks, shark conservation and environmental protection. Ambassadors carrying our message way beyond our borders.